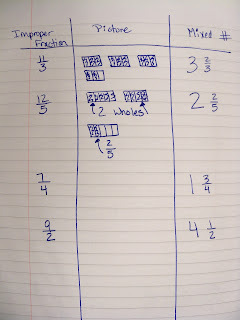 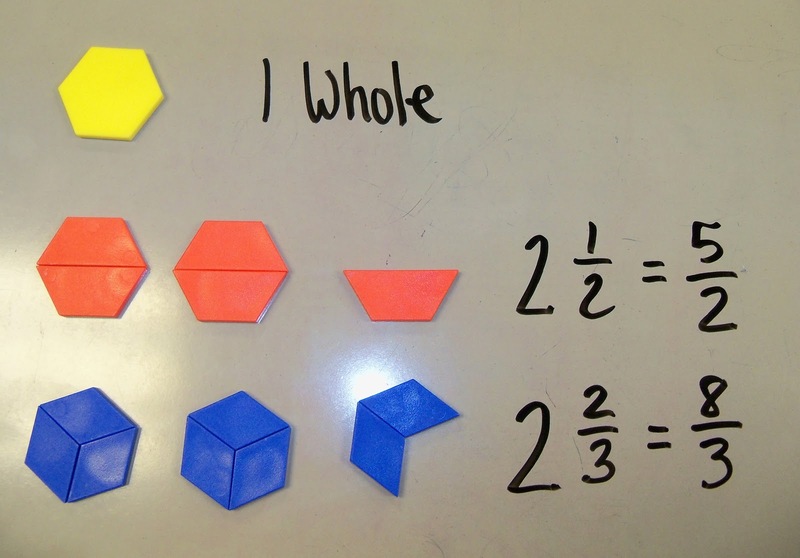 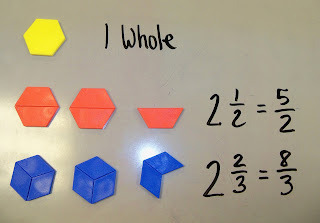 We introduced fractions greater than one by modeling them with pattern blocks and writing them as a mixed number, and also as an improper fraction. 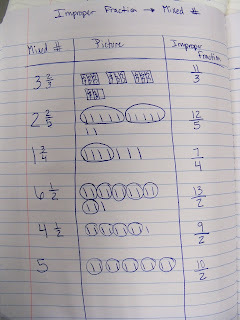 Then we discussed the similarity between the two numbers. 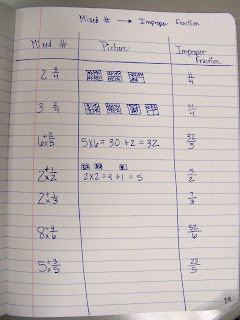 After lots of examples with pattern blocks, we moved to pictures in our journals. 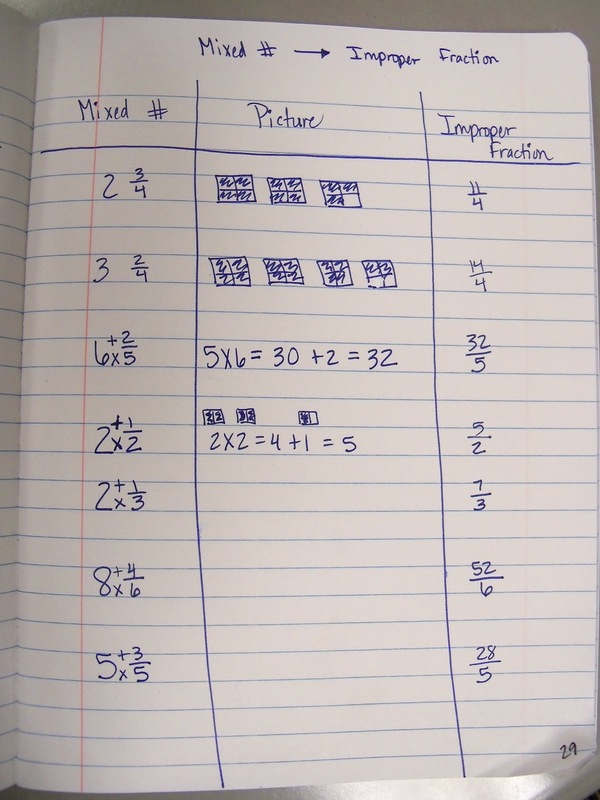 We started with the mixed number, drew the picture, then named it as an improper fraction. 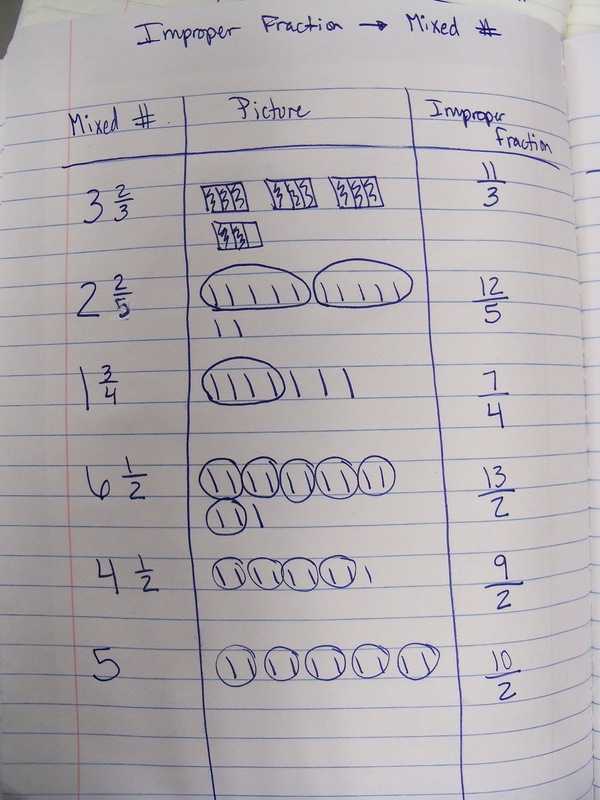 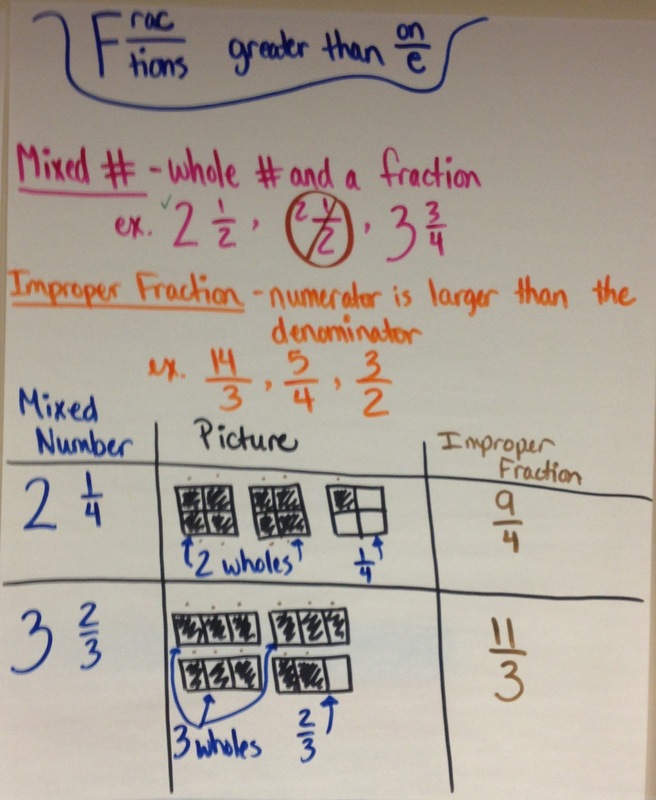 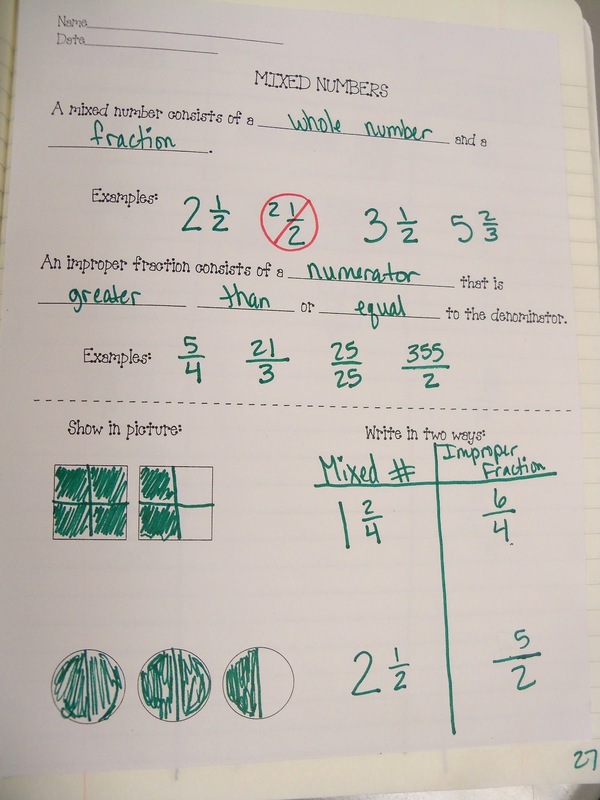 After several of those, we started with the improper fraction, drew the picture, then named it as a mixed number. 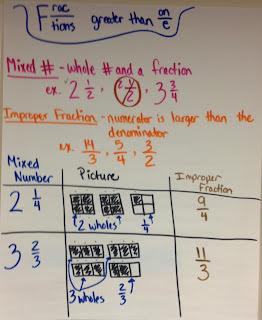 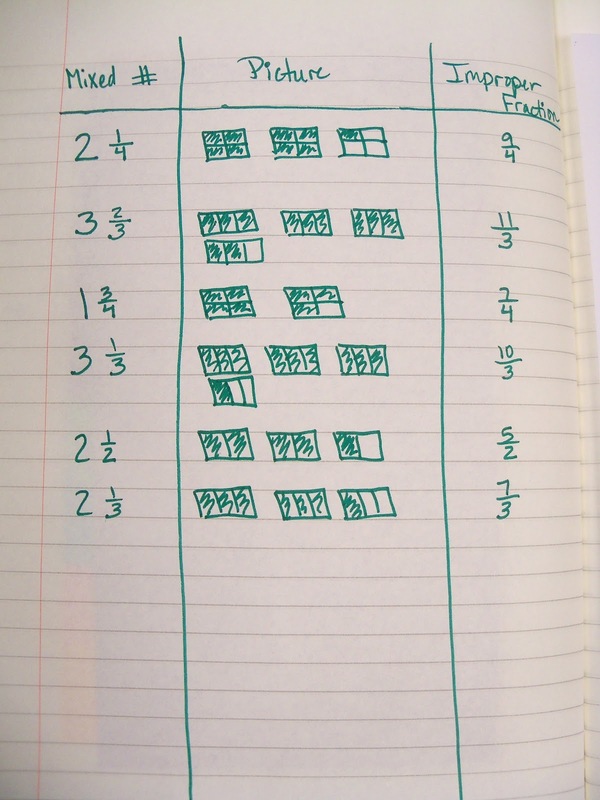 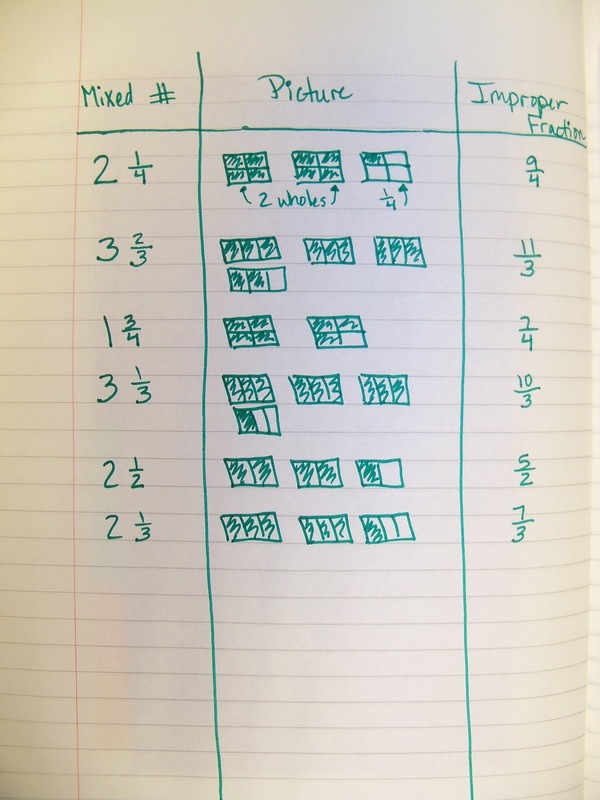 The next day, we talked about how we went between the two types of fractions using pictures to help us. 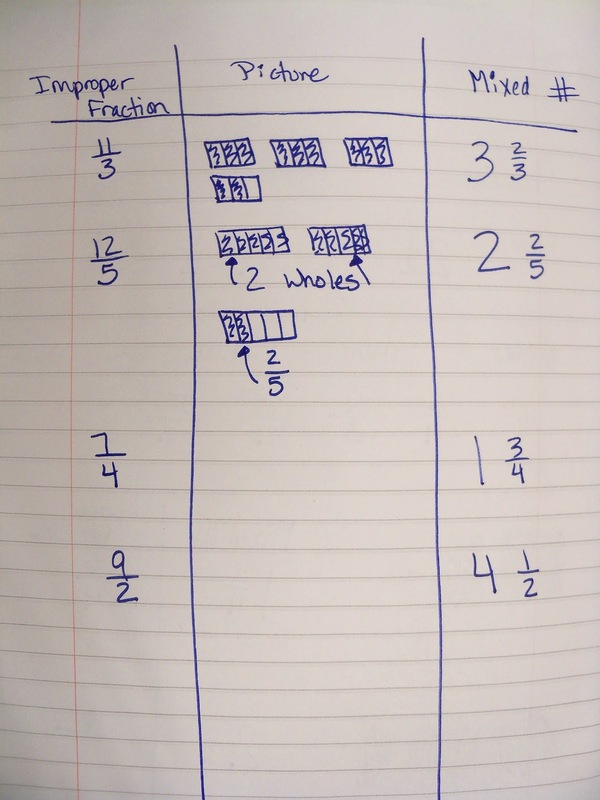 After examining our pictures, we noticed some shortcuts to help us be more efficient when changing from one type of fraction to the other. 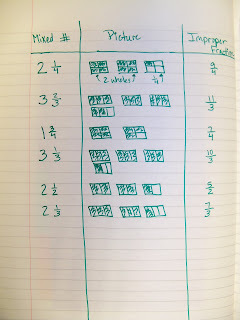 Eventually, the kids discovered the multiplication and division connection to help speed them along.